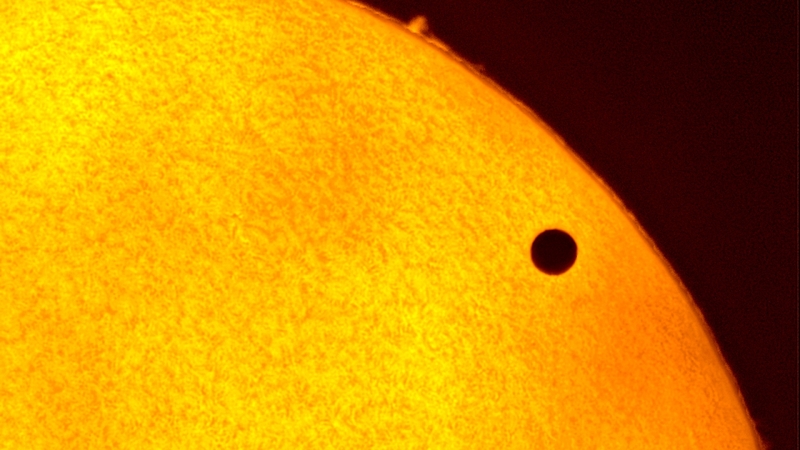 During the once in a lifetime Venus Transit event, I was all setup with two solar telescopes HD recorders and other equipment. However the weather did not cooperate and it was totally overcast :-(. I did manage to capture a few seconds of video here and there when a crack in the clouds allowed. This image is a processed from a single frame from the video where there was the least amount of cloud.